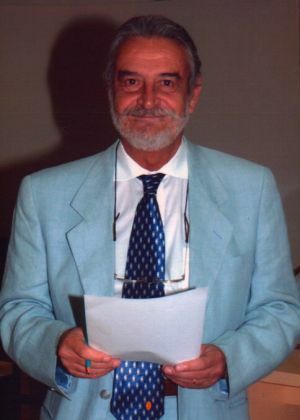 "..... Mr. Scodanibbio has been found to be a very good trainer...... he has proved to be highly popular with personnel from industry who have attended the courses which we organised under his tutorship...."
".... I would like to express our thanks to your goodself for conducting the above workshop (Improving Productivity through Total Productive Maintenance) in Cyprus. 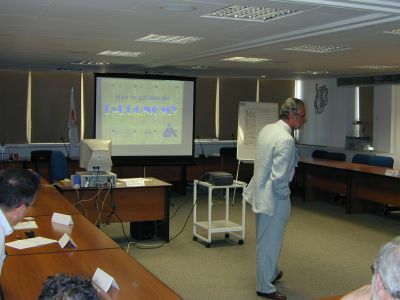 Undoubtedly the workshop was extremely successful and beneficial for the participating companies..... your personal input has most definitely contributed to making the programme a success...... it is our intention to continue our co-operation...."
".... from 1989 we have delegated the management and the implementation of the training needs for our Group of Companies to Dr. Carlo Scodanibbio. The professionalism and abilities of the Trainer have made our three companies achieve very satisfactory results with enormous positive effects on the performance of all employees....."
".... after many years of consulting services of Dr. Carlo Scodanibbio, we can state that our Company has improved in many performing aspects..... he has succeeded in re-structuring our working processes in a simple and functional manner..... which has resulted in increased competitiveness in our market." "Our Group has been benefiting fro the professional consulting services of Mr. Carlo Scodanibbio since 1993....... We are very happy with Mr. Scodanibbio's services which have resulted in very tangible results in the improved performance of our staff and consequently in the efficiency of the organisation. We look forward to continuing a permanent business relationship with him, and have no hesitation in recommending his services to any company or organisation which can benefit from his long experience in the field." "....The undersigned has no hesitation whatsoever to recommend Dr. Carlo Scodanibbio to a position of trust and responsibility. Dr. Scodanibbio is a man of integrity, of high moral standing and with an excellent background." " I would like to thank you for your co-operation and the excellent way you led the Creative Problem Solving in Team Seminar, and also for your valuable contribution to the Operations Management unit"
" Our Company, also thanks to Dr. Scodanibbio, is successfully achieving the status of Reliable Supplier within our Clients in the Automotive Industry where Total Quality is a must. Due to this tangible result we have decided to have a permanent business relationship with Dr. Scodanibbio....."
"....we would like to thank you warmly for your invaluable and prompt assistance and outstanding contribution to the above workshop......your presentation was no doubt highly informative, interesting and useful....."
"....On behalf of our Centre and all participants, we want to thank you for the excellent, informative and interesting two days with you. It truly enriched our lives and challenged our paradigms....."
"....Dr. Scodanibbio has provided services to our Company in the fields of Personnel Training, Production Re-structuring, Industrial Cost Control System and Total Quality Management. In this period all of us have seen positive results: for instance, some of our productive processes have shown a productivity improvement in excess of 50%...... However, I believe that the most positive result is the valuable development and growth of our Human Resources: people work with increased satisfaction and a higher sense of responsibility, actively involved in re-organising own work, and in a better relationship with colleagues and superiors...... We have an excellent relationship with Dr. Scodanibbio, fostered by his human qualities, high professionalism and experience." I have attended one of Dr Carlo’s seminars (TPM) some years ago and I can say that it was one of the best seminars I had in my life. The way Dr Carlo teaches inspires and motivates the individuals to such a degree that you want immediately to start implementing what you have learned. His approach and his way of influencing is amazing. He has deep knowledge in Lean techniques and he has helped me and my company tremendously. By applying Dr Carlo’s concepts I managed to improve the machine effectiveness by 40% in less than a week !!! An excellent course, I have learnt a lot on it and will certainly implement most of this. I am impressed with the approach and the presentation of the course in general. An excellent course. It puts the emphasis on the cultural change required to make the business more competitive and on the leading edge in its class. An excellent course. I enjoyed it and it has opened my eyes more to the way the world is moving. An excellent course. This course is an absolute must for any manufacturing environment. An excellent course. Thanks Carlo. It's been good fun and very intense. An excellent course, good content; presenter's knowledge on Lean principles: excellent! An excellent course. It has been extremely valuable. I will send some of my staff to your next course. Your knowledge + experience came across in the lectures. 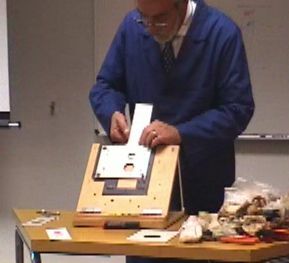 Great course; I will look at manufacturing with new eyes. An excellent course. Thank you for sharing your knowledge with us, we can easily implement improvement in our work place. An excellent course. I found it fascinating, very informative, stimulating - and above all, fun! An excellent course, very well done! Bravo! An excellent course. Lean principles can be presented in a manner which puts people to sleep very quickly! I know - I have been there! You have not only succeeded in keeping me awake, you've made your points clearly and with distinction. An excellent course, very well presented, lively and enthusiastic. 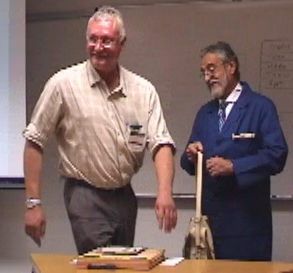 Presenter had a very good knowledge of course material and carried it over effectively. Thank you. An excellent course. It has shuttered some misconceptions regarding mass production, and got me thinking. Re-enforced "never say never" attitude. An excellent course, I enjoyed it. Thank you for all the knowledge you have shared with us. An excellent course: a comprehensive view of the problematics faced by manufacturing enterprises of today. An excellent course, very relevant - eye opening. An excellent course. I really enjoyed the presentation and humour. Speaker was able to convey the principles of a very complex subject in a very pleasant and sometimes entertaining manner! Thanks! An excellent course. Presentation very good, material also good. It is only up to individuals how they get the message , how it gets in their minds and how they are going to exploit it. An excellent course. 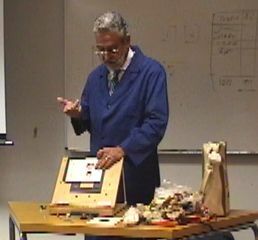 The presenter had very good knowledge of his topics and presentation methods. Good in getting audience involved. Let you start thinking oh how to improve subordinates' working conditions through job enrichment. 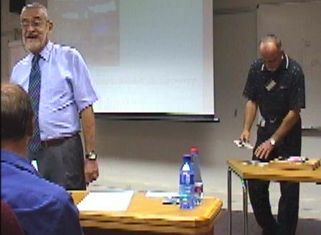 I thoroughly enjoyed this (Total Employee Involvement) and the Lean Manufacturing course. Thank you Carlo for making the theory come alive. An excellent course. This could accelerate the path to cultural change if at least half of the company employees are invited. An excellent course. This was an eye opener on some of the concepts and without everybody's participation this "Lean Manufacturing" cannot reap the success it deserves. An excellent course. Keep on helping others with your courses, really it's changing the world. An excellent course, very well laid out and presented. Simple straight-forward course with a proven track record of success. The more employees of a firm that have access to or can attend the course will make the implementation within a factory much easier. An excellent course, a fantastic launch pad for lean. Participants leave feeling energetic and enthusiastic. Some means should be investigated as to how to keep the momentum going. An excellent Seminar. Registering for it was known from the start that we would deal with the Internet world. Surprisingly we went over the fence and discovered areas of interest that I would have never known. For all these reasons, GRAZIE! An excellent Seminar. You have the unique ability of passing ideas through to the audience. Mr Carlo Scodanibbio is a very intelligent man, he has great knowledge about what is teaching, and I was lucky to be part of this course in Cyprus. An excellent Seminar. I will suggest it to my clients for sure. Carlo is explaining everything in detail and very clear and easy to understand. An excellent seminar. Excellent passing over of information. Excellent style of teaching - crystal clear. Extremely helpful advice. An excellent seminar. Thanks for a comprehensive display of everything business companies need to market effectively and deal with people. An excellent Seminar - please come back soon ! An excellent seminar ! Seminars like this should be made compulsory ! An excellent seminar.... Crisp and clear way of presenting facts and opinions, kept the attention of all participants. Well organised and methodical. An excellent seminar, very simple and understanding which makes you think..
An excellent seminar: very interesting, timely, very professional, fun, and makes think. An excellent seminar, well presented, realistic, to the point. Excellent for making managers see the companies in a different manner. An excellent seminar. I believe that this was a very comprehensive course, that can easily be followed not only by "experts" in the field but also by people who may actually deal with a completely different field. That was very good. An excellent Seminar. I have really got more than I expected... I really look forward to the next seminar with Mr Carlo because I think he is one of the best instructors among many seminars attended so far. An excellent Seminar. 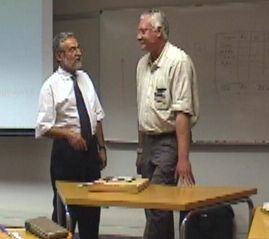 A well-thought and well executed course, transmitting the lecturer's expert authority on the subject. Easily comprehensible and complemented with real life examples which constitute a practical and not just theoretical course. An excellent Course - need more like this in Cyprus. An excellent Seminar. Dear Carlo, It has always been a great pleasure attending your courses not simply because of their theoretical content but due to the fact that they are enriched with "facts", own experience, practical tips, case studies. Thank you again. An excellent seminar. The ideas presented during the seminar and the methods for their application have changed my approach to the whole manufacturing concept. I think the seminar was excellent - I will attend again in the near future. An excellent seminar, very useful and interesting. An excellent seminar. The message of "World-Class Performance" was given once more, focused on E-Economy this time. Excellent presentation and accurate information. An excellent seminar, very informative for me - and I do believe that a big part of it can be applied in practice - it is not at all a theoretical course. Finally I have to admit that I am very impressed about the way Dr Carlo Scodanibbio present the topics. An excellent introductory course to open the eyes of those in old world hibernation! An excellent seminar. Carlo, you are really very good in what you are doing. An excellent seminar from an excellent instructor - very useful. An excellent seminar: which gives you an idea how fast the world is changing around us and what we have to do to follow up. An excellent workshop. A brief insight into a fantastic topic. This workshop was the ideal forum to plan the path, that could enable me to add tremendous value to my Organisation. An excellent workshop. Very charismatic, dynamic presenter with a genuine love of his subject, with a great ability to connect with his audience. 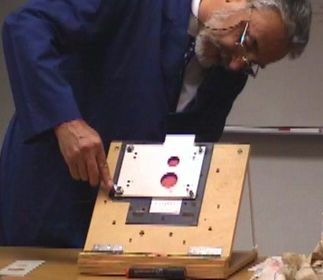 Very interesting, different approach to audio and visual presentation. Excellent course, I cannot wait to start to implement what I have learnt in practice!! An excellent course, I have learnt a lot. Also made me ware of the useless "furniture" (as you put it) within our Company. 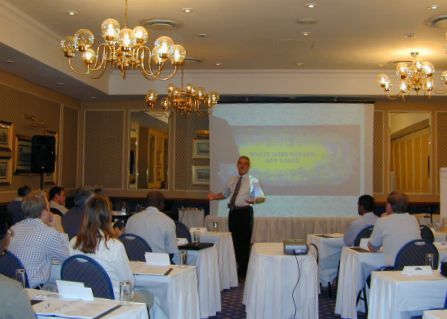 Benefits of attending world-class manufacturing practise workshop are enormous. I will encourage operational practitioners to attend. An excellent course. I now also understand a bit more of the "Italian" mentality and I love it! May one day even buy an Italian car. Well done! An excellent course. Enjoyed the presentation style and real-world examples. Focus on the people aspect was also refreshing as too often it is forgotten. An excellent course. Enjoyed the course and thought provoking. Very interested in getting my staff to attend in future. Enjoyed the music! It was a very good and interesting workshop and future workshops will be attended by some of my subordinates in production. This course has given me a framework for action that will be effective in a short period. An excellent course. Very Impressed with contents, expectations have been achieved and others exceeded. An excellent course. I sincerely enjoyed and gained a lot out of these last 2 days. I thank you sincerely. An excellent course, one of the best I have attended. Carlo holds your attention well. An excellent course. Dr Scodanibbio's use of examples and video footage is excellent. Graphical illustration of concepts in notes is very effective. An excellent course. The first I have been in that recognises that people tend to fall asleep after lunch. Good use of computer and video. Thank you for an informative course, it has been most enjoyable. An excellent course. Enjoyable presentation, very good review of "lean" principles with excellent practical examples. An excellent course. The course, for obvious reasons, is short. However it has a lot of impact... Certainly this course has benefited myself. Good course: I see some huge benefits for the implementation of certain Lean Manufacturing systems in our Organisation, with emphasis on Waste Management and value-added time. Thank you for your professional and creative presentation of Lean Manufacturing concepts. An excellent course. The overall concept of the course was impressive, informative and I would recommend it to people whom I see fit. An excellent course. 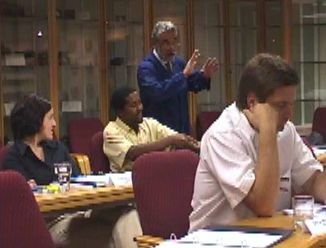 The enthusiasm and passion shown by the speaker is motivating and makes the subject more understandable. An excellent course. It was interesting to see how we accept the day-to-day operation as being acceptable, and once highlighted the areas that can be improved and adjusted to eliminate waste and non-value-adding operations or incidents. An excellent course, it was an eye opener. I could have learnt more if some interesting topics were covered in detail. Nonetheless I highly recommend it. An excellent course. It has opened my eyes to a lot of weaknesses in my plant. I go away with a lot of things to do!